Toyota Prius XW30 is a gas/electric vehicle that features innovative technology from TOYOTA, the Hybrid Synergy Drive® which offers amazing fuel economy and with an emission rating of an Advanced Technology Partial Zero Emission Vehicle (AT-PZEV) rating. It also comes with optional advanced features such as Bluetooth®, GPS Navigation system, high performance safety features, smart key system, push button start, versatile seating system, with large rear area and a unique eye catching shape. All these features with the performance of a conventional car. You never need to plug-in for recharging like older hybrid cars. 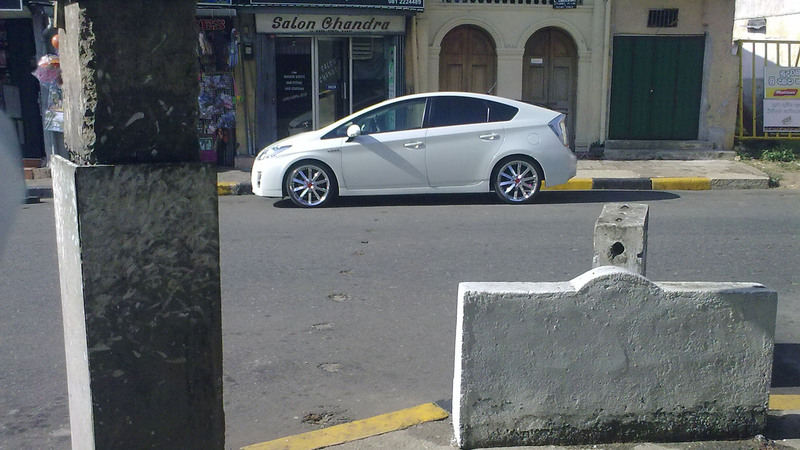 The real motivation to buy a Toyota Prius XW30 is its extremely low emissions. It has the best emission ratings. Toyota Prius is one of the excellent choices for car buyers, who want to save some bucks on fuel, want to save some pollution, and most of all reduce dependence on oil. According to federal government’s Environmental Protection Agency, the TOYOTA Prius XW30 is rated at 60/51 mpg City/Highway, with a Combined rating of 55 mpg. Actual mileage may vary from 41 to 48 mpg, depending on the roads, turns, traffic, speed etc. · Very good cutting edge optional technologies such as Bluetooth. · Waiting period of 4-6 weeks minimum.